For our test, we selected a 2014 Toshiba Encore WT8-A tablet running the Windows 8 operating system. In our view, the CPU, an Intel Atom Z3740 that operates at a maximum of 1.86 GHz, was adequate to run Canon’s EOS Utility software (version 2.14.20). 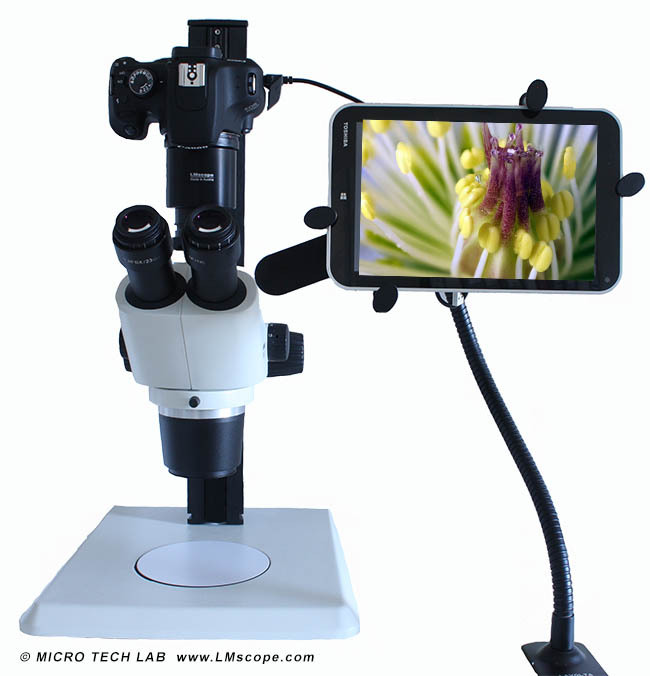 The camera we selected was the Canon EOS 650D, which we attached to the microscope using our LM digital adapter. We then used a simple desk stand to prop up the tablet and connected the camera to the tablet with a USB cable. To operate the camera, we used the touchscreen. We downloaded the current software version from the Canon website, and this is where we encountered the first hiccup. 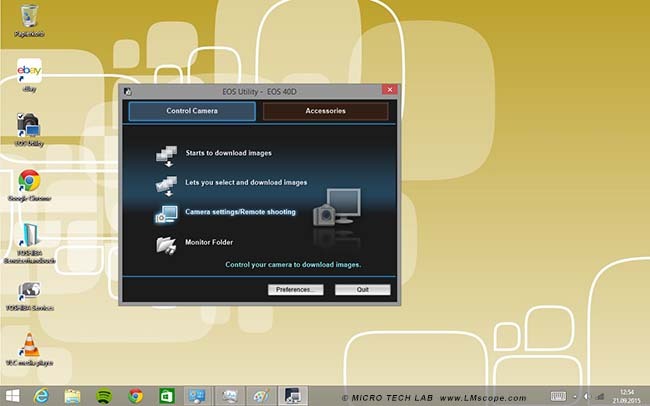 To install the software, it is necessary to insert the original CD provided with the Canon EOS 650D into the CD drive. In our case, this is only possible with an external optical drive that can be connected to the tablet via the USB port. Without the original CD, it would have been impossible to install the software update – a real annoyance since CDs are increasingly passé and most users do not have an external USB drive at hand. When the setup program finally started, we immediately ran into the next issue: a message informed us that the required screen resolution for installation was 1024 x 768. The standard resolution on most tablets is 1280 x 800 (with “allow automatic screen rotation” checked). Once we unchecked the tablet’s screen rotation function and reduced its screen resolution temporarily to 1024 x 768, we were able to successfully complete the installation process, after which we returned the resolution to 1280 x 800. 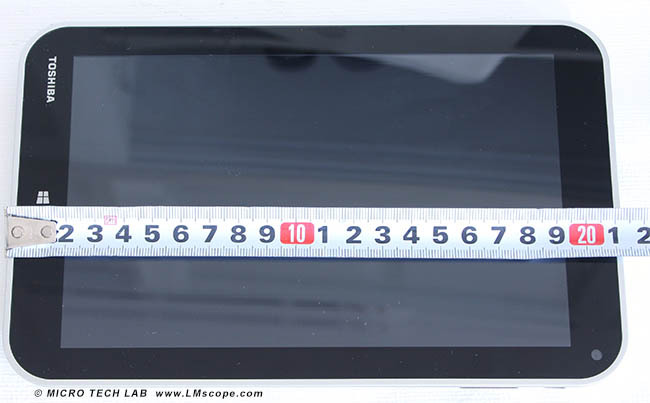 Our Toshiba tablet has an 8" display, which makes it possible to work normally in Live View mode. 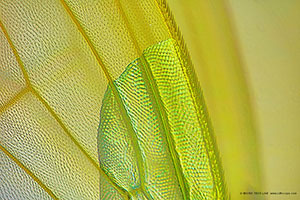 The magnification function also works well, and fine details can be brought into focus. When all settings are optimal, the shutter can be released and the image is saved directly to the tablet. The software is not optimised for use with a touchscreen device, as the control panels are a bit too small. 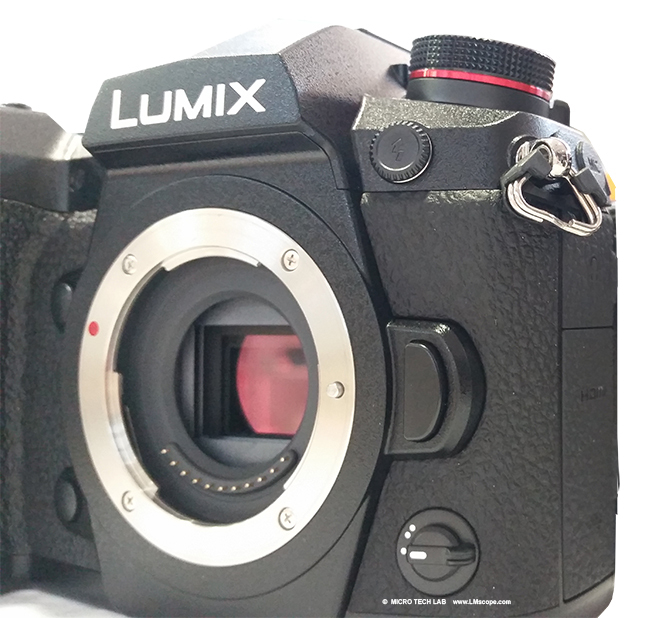 Therefore, operating the shutter release is a bit tricky, but works very well if you use it with precision. A Windows 8-based global zoom function would allow users to zoom easily into the image by pulling the fingers apart (similar to operating a smartphone). If necessary, an external mouse or pen can also be used. We were also interested to learn how well the tablet’s mobile CPU was able to cope with the demands of the Canon EOS Utility software. 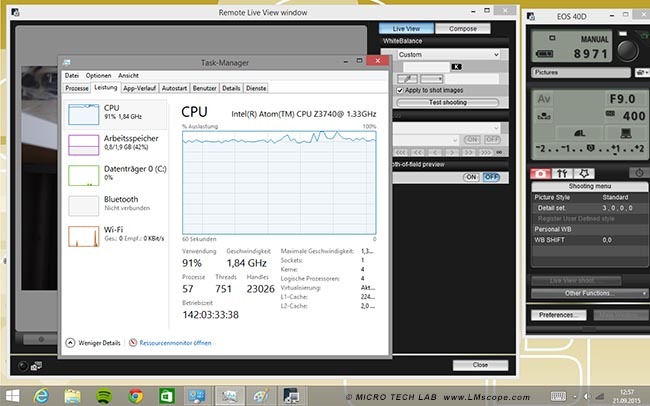 The Toshiba tablet we used has a quad core CPU that operates at a maximum of 1.86 GHz. In Live View mode, i.e. 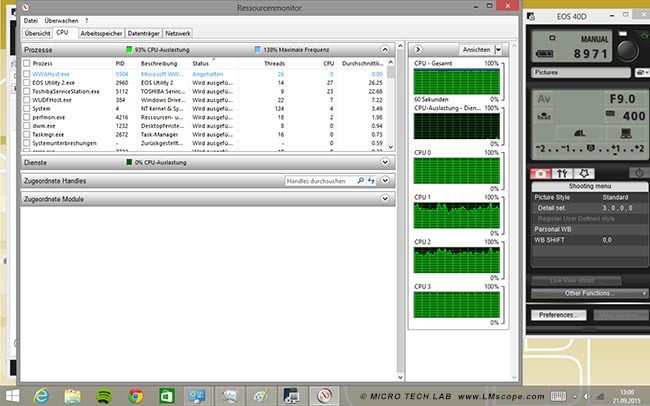 when the moving image is transmitted to the tablet, CPU utilisation ranges between 91% and 93%! Despite this high level of CPU usage, the Canon EOS Utility software runs very smoothly. However, we do not recommend running other CPU-intensive programs in parallel with Canon's software due to the risk of overtaxing resources, which, over prolonged periods of time, may cause overheating. 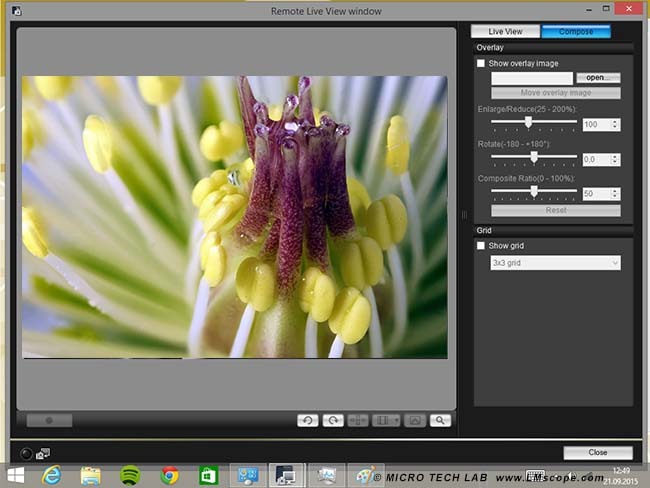 Fortunately, the Canon EOS Utility software allows the Live View mode to be turned on and off by simply pressing a button. Our test tablet has only one USB port, which needs to be used to recharge the battery and also for communication with external devices (such as the camera). This means that the tablet cannot be recharged at the same time it is connected to the camera, which is rather inconvenient since the user needs to remain aware of the battery status during work. In addition, it also leads to premature battery ageing. While our test tablet lacked a little bit in power and its display could be larger, it generally performed very well in this test. Nevertheless, more USB ports would be a plus, since the tablet could then be recharged without interrupting camera communication. However, at work stations with only limited space available, the advantages offered by our tablet significantly outweigh its disadvantages. 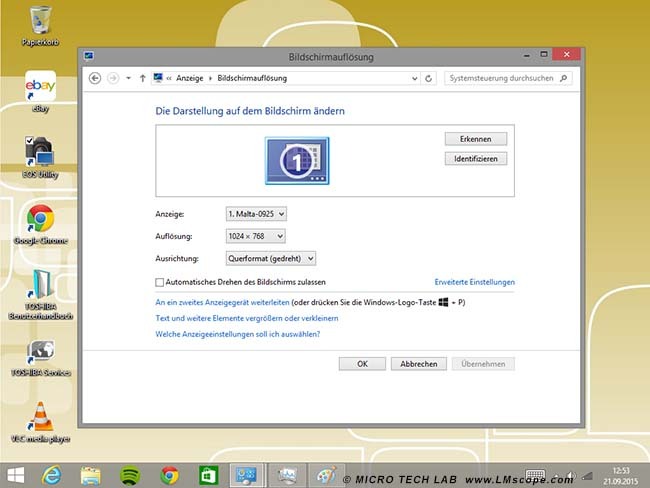 We intend to repeat the test with the Windows 10 operating system and look forward to some improvements.